Raiden is an off-chain scaling protocol being built for the Ethereum blockchain platform. 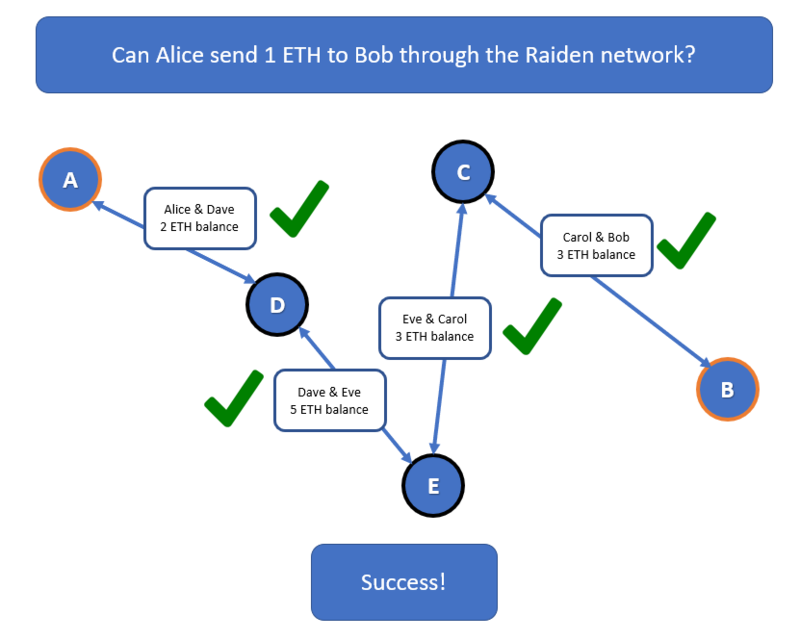 For example, the image above shows how a payment of 1 ETH from Alice to Bob can be routed through Raiden network even if the Alice and Bob do not have a payment channel connecting them directly. An alpha implementation of Raiden network, called Red Eyes, was released and deployed on the Ethereum mainnet.